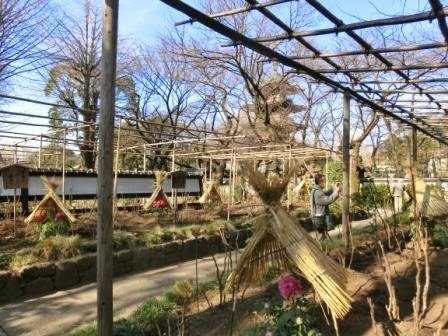 Next to Ueno Zoo and famous museums, Winter Peony (flower) Garden is open (1st Jan – 23th Feb, in 2014). 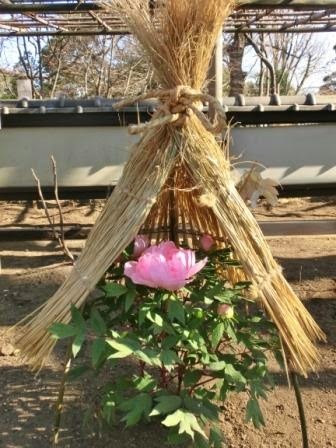 A lot of peonies surrounded by snow fences woven from straw (yuki-gakoi) are displayed in the quiet beautiful Japanese garden.When I visit Ueno in winter, I explore the garden and feel calm with the flowers and the atmosphere. 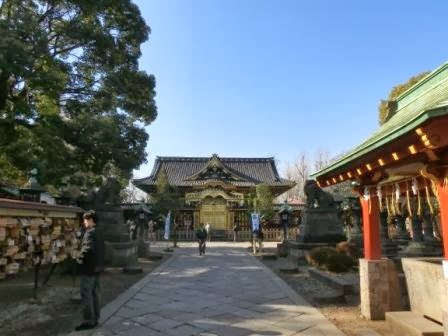 I strongly recommend it if you come to Ueno in winter. 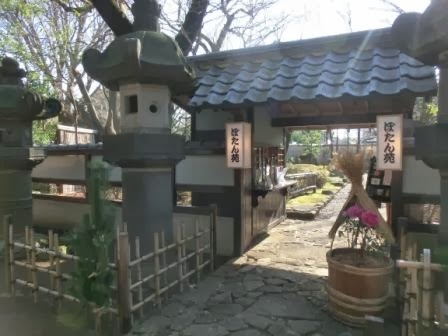 The cozy entrance is in Toshogu Shrine neighbouring to Ueno Zoo. The post card set (300 yen) and posters (300 or 500 yen) are available here. Let’s explore the photos more than words. 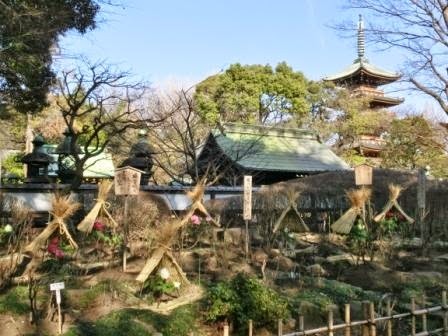 I can see that pagoda in the zoo as well. 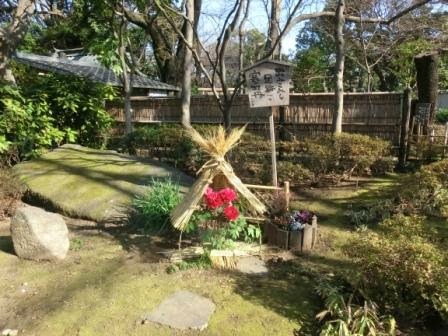 The garden itself is based on the beautiful Japanese style. The comforting Japanese traditional music makes it even better. 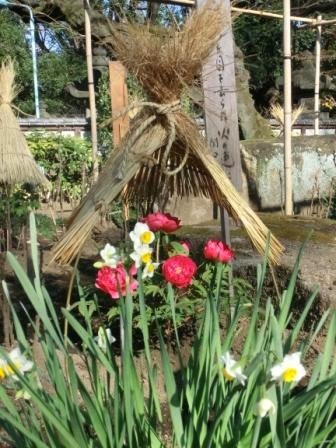 There are other flowers and small nuts planted. Especially the red nuts are for good fortune for the new year. 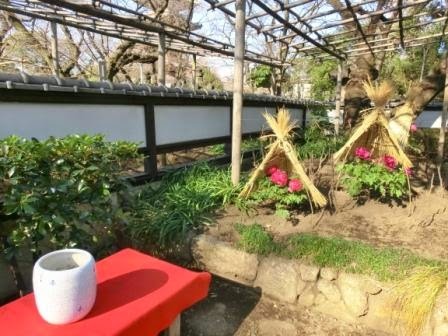 You can take a rest on traditional red benches, often seen in old dango (rice dumplings) shops, and warm your hands on the pot with charcoal. 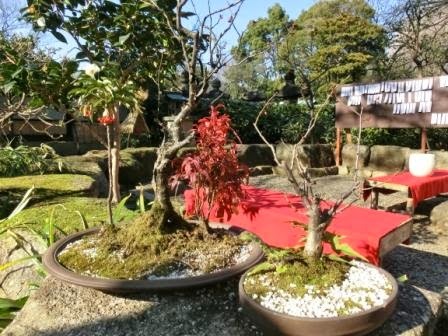 There are also Bonsais, small plant pots, on display. If a good idea of a haiku or tanka hits you, write it down on a tanzaku and leave it on the board. 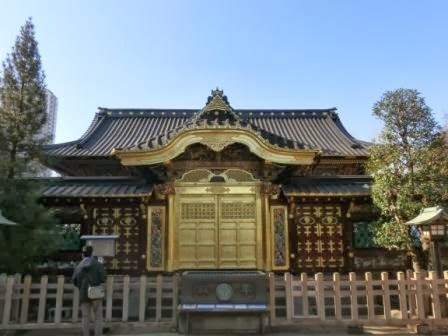 Toshogu Shrine. If you are lucky, they sometimes hold traditional Japanese music concerts in the traditional open-air stage. 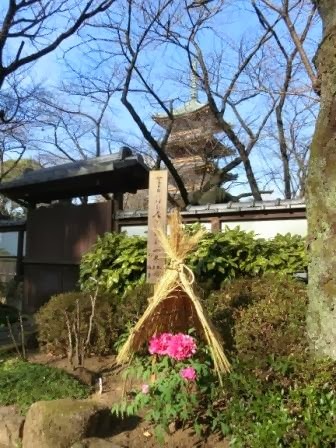 The exit is led to the shrine. The main building just finished renovating in January 2014. It is GOLDEN. Winter Peony Garden is definitely one of my best Calm Tokyo. I’m happy if you share some good feelings with my photos. 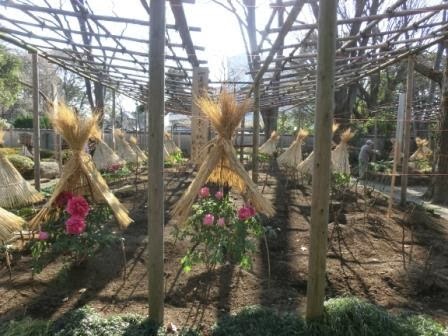 Update: The entrance fee changed in 2015, after the renovation of the garden.